It is with great regret we report to you that The New Neighbor, a horror film that had been funded via two separate Kickstarter campaigns and helmed by former horror blogger Brandon Sites, is panning out to be little more than a scam. Bloody-Mess.net encountered the project via news and information we followed regarding one of our favorite indie horror directors, James Cullen Bressack. As the campaign kicked into high gear, Bressack was attached to direct the project, with model/actor Ryan Sandefur set to take on the title role. We were very excited about the project, as it seemed poised to breathe new life into the vampire genre, as well as provide a wider forum in showcasing the talents of all of those involved. Sadly, as time has gone on, more and more information about everything that has happened behind the scenes of the project has come to light, leaving many people — your loyal Bloody-Mess.net staff included — most likely scammed out of money donated to fund the film. Both Bressack and Sandefur had left the film, and while Brandon Sites continued to peddle excuses as to reasoning behind filming delays and cast and crew changes, there seemed to be very little happening in terms of actual film-making. "ATTENTION FILM INDUSTRY PROFESSIONALS: It is time for the truth to be known. 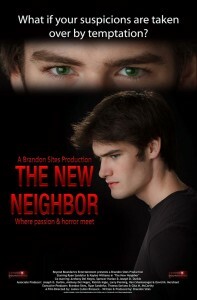 As most of you know, I began producing with former Horror Film Critic, Brandon C. Sites, late in the year of 2012 to produce our first Feature Film, “The New Neighbor”, founding the production company, “Beyond Boundaries LLC”. On April 22nd of the year 2013, Brandon C. Sites was convicted of 9 crimes of which he committed against myself including Identity Theft and Credit Card Fraud. Brandon also misused over $15,000 of which he obtained through a false company (I looked into it, and Brandon was never legally cleared to conduct business with the company), using most of it for his personal gain. I moved away from my stable work, family, friends, and schooling in GA to give Brandon and the film 150%, and am now in a bad financial situation because of what Brandon did to myself and others." "I plan to continue in the industry as Producer, Writer, Actor and Model and I vow to do everything possible to give back to the investors that were treated wrongly. I passionately ask for this information to be passed along to every Industry Professional so that my name will be cleared of the lies Brandon has tried to spread and also to ensure that No-one is ever taken advantage of by Brandon again. Also, i ask that you continue your support for me as i continue to fix things for those who were done wrong and show the Film Industry what I am truly capable of! I want to show the most appreciation possible towards those who have known about this situation and have helped me through it all. It is because of them and the love from my friends, family and fans that i never gave up and will be successful. Thank you all so much. I love you all!" *DISCLAIMER- All of the above information is factual and can not be considered as slander by any means in any state within the United States of America. I, Christopher Ryan Sandefur, give full permission for this information to be released to the public by anyone, to anyone, and by any means of communication. I agree to take full responsibility for anything stated above and will provide confirmation and proof of any and all allegations upon request. James Cullen Bressack has stated simply he left the project “due to creative differences”. The Facebook page for The New Neighbor has long since disappeared, and the title has dropped from IMDB. For his part, supposed producer Brandon Sites has returned to quietly blogging about horror in his own little corner of the internet. If there was any word on an official death knell for the ‘film’, or of what happened to the near nine thousand dollars raised, it never came our way, though we tend to have an idea about the money at least, if word of Mr. Sites’ convictions ring true. We are extraordinarily angry that we allowed ourselves and our readers to be scammed in this blatant manner. Unfortunately, while crowdfunding is a fantastic way for indie filmmakers to raise capital and spread the word about their upcoming projects, it also gives those looking to take advantage of well-meaning investors a new forum in which to scheme and cheat. There is simply no way we can apologize enough for allowing our readers to fall victim to this scam. Most staff members at Bloody-Mess.net also invested their hard-earned cash into the project, to no avail. We are presently a completely self-run and staffed organization, and we make no income from our efforts; it is a labor of love and the only profits we receive are knowing that our voices are out there among the horror community. It is impossible for us to repay our readers for their losses in any way, though we wish it were otherwise. It is uncertain as to whether we will promote any more crowdfunded projects in the future. Kickstarter, and the many sites like it, allows no recourse for anyone who falls victim to a scam and there is very little anyone can do by way of verifying the authenticity of future projects, short of relying on the reputation of those involved — which is exactly what we were doing in this case. While we can’t in good conscience say whether or not we will continue to feature crowdfunded projects, please do not let this one negative experience sour you on discovering and helping to finance new horror films, novels, magazines, and the like. 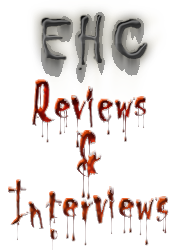 Indie horror is the only manner of bringing any innovation to the genre these days and we need our new filmmakers, writers, and artists to have access to such funding and word of mouth advertising. Just remember that we can all fall victim to a scam and take care with who you decide to invest in. For my part, I will keep supporting projects that pique my interest. The Hanover House and Pray for Daylight are two successful horror films that began on Kickstarter; good projects can get off the ground this way. It’s just a matter of finding the right ones.